Few thinkers of any sort in medieval Islam have had as much influence in later Islamic traditions—Sunni and Shi’i and all the permutations within those categories—as the great Andalusian mystic, philosopher, and prolific author Ibn ‘Arabī. Like so many seminal philosophical and mystical thinkers, his later followers and interpreters would vary greatly in their defense, appropriation, and creative expansion of the master’s work and thought. This is perhaps especially the case for Ibn ‘Arabī, an especially dense and difficult author. Already a figure of controversy in his lifetime, Ibn ‘Arabī’s value and legacy continue to be contested points, both within the field of Islamic thought and practice and within the field of historical enquiry. The passage translated below was written by one of Ibn ‘Arabī’s many later followers. Like many others, ‘Abd al-Razzāq al-Kashanī (d. 730/1329) drew upon the writings of the ‘Greatest Master’ in a creative fashion; he did not simply reproduce Ibn ‘Arabī’s ideas or methods—an improbable task, anyway. Rather, as we see in this example of al-Kashanī’s tafsīr, he drew upon Ibn ‘Arabī’s language, concepts, and tendencies to craft his own system of mystical-philosophical theology and hermeneutic. Having studied Avicennian philosophy before embracing Sufism via Ibn ‘Arabī, al-Kashanī’s mystical-philosophical ‘system’ draws upon both traditions. His writings—several of which are commentaries upon the work of Ibn ‘Arabī—tend to have a highly pedagogical edge to them, both in intention and in format and composition. Suffice to say, al-Kashanī is a much easier writer to read than Ibn ‘Arabī. This is not to say his ideas or language are simple, however; they are not. But they are deliberately more accessible and systematic than Ibn ‘Arabi’s works. Among al-Kashanī’s numerous extant writings, one of the most frequently printed is his Qur’an commentary. However, despite the virtually uncontested ascription of the Ta’wīlāt al-Qur’ān to al-Kashanī, this text has been repeatedly printed by modern publishing houses under the name Tafsīr al-Qur’ān al-Karīm and ascribed to Ibn ‘Arabī himself; as one scholar has suggested, this strategy is probably at least in part a marketing ploy. At any rate, the tafsīr is relatively brief (for commentaries)—about a thousand pages in two volumes in the edition I am using—and very readable, particularly compared to Ibn ‘Arabī’s dense and rather convoluted style. Al-Kashanī, like many other ‘specialized’ commentators in other ‘genres’ of commentary, engages in selective commentary, rather than trying to comment on every single line. His concerns are, as might be expected from my brief synopsis above, philosophical-mystical. His exegetical method in most of the commentary might be described as ‘allegorical’ (a problematic but still useful term, I think). However, as I plan on posting excerpts from several more ‘allegorical’ minded commentators, from multiple high medieval traditions, in coming days, I will refrain from a further analysis. Rather, take note of the obvious exegetical moves al-Kashanī makes here, and the underlying philosophical, religious, and ‘mystical’ ideas and concerns he reveals in this short passage. What sorts of things does al-Kashanī presuppose about the world, things that would be accepted by most people in his society? What sorts of things might be contested in his analysis? How does his mystical ‘system’ correspond to the Qur’anic text, and is he consistent in his application? [Text]: Q.19:22-26: So she [Mary] became pregnant with him and withdrew with him to a remote place. Then the labor pains brought her to the trunk of the palm tree; she said: O that I died before [this], forgotten, forgetting. Then he cried out to her from below her—Lest you be sadded, your Lord has placed flowing water below you. And shake towards you the trunk of the plam tree; there will fall to you ripe harvestable dates. So eat and drink and refresh yourself. And if you see anyone from among men, say: I have vowed to the Merciful a fast, so I will not speak today to anyone. [Commentary]: And the union of the spirit of Jesus with the sperm (al-nuṭfa), however, is after the occurrence of the sperm in the womb and its repose therein, while it mixes and merges into one, becoming a nature (mizājan) fit for the reception of the spirit. So she withdrew with him (bihu), that is, with him (ma’hu), to a remote place, far from the first eastern place, for it happened to her in a foreign place which is the world of physical nature (‘ālam al-ṭabī’a), the material horizon, and so He said: Then the labor pains brought her to the trunk of the palm tree, the palm tree of the soul. So he cried out to her from below her, that is, Gabriel cried out to her from the lowest [place] in relation to her place in regards to the heart, that is, from the world of physical nature, that which had saddened her with respect to it, the pregnancy which was the cause of her being pointed out and expelled. Lest you be saddened, your Lord has placed flowing water below you, that is, a small stream, from the unseen of physical-natural knowledge, and knowledge of the oneness of actions, with which God singled you out and purified you—as you saw He who generated the fetus from your sperm, uniting it together. And shake towards you the trunk of the palm tree of your soul, which was lofty through hearing the Spirit, through your connection to the Spirit of holiness, and became verdant with true life, after its aridity from spiritual exercise and its dryness from being forbidden the water of passion and its life. And it bore fruit of gnosis (al-ma’ārif), and inner meaning; that is, Set it in motion with contemplation. There will fall to you, of the fruit of gnosis, and realities, ripe harvestable dates. So eat, that is, from above you, the dates of the realities, of divine gnosis, of knowledge of the manifestation of the [divine] attributes, of the gifts, and of the states. And drink, from below you, the water of the knowledge of physical nature, of the wonders of creation, of the mysteries of the divine actions, of knowledge of tawakkul, of the manifestation of the actions, of the virtues, of the acquisitions, as God says: They would have eaten from above them and from below their feet (Q. 5.66b). And refresh yourself, by grace, by the blessed son, the existent through divine power, the gift through divine providence. 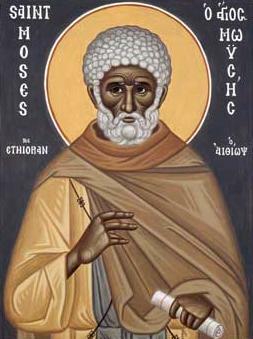 And if you see anyone from among men, that is, from among the people of exotericism, those veiled from the realities by the outer appearances of the means, by the creation, by the judgements, from the wonders and from divine power—those who do not understand your word, and do not speak truthfully regarding you or your state, due to their conformity with custom, and their being veiled by intellects muddied by delusion, veiled from the light of God. Then say: I have vowed to the Merciful a fast, that is, not to talk about anything of your matter, nor to keep on talking with them about what they are not capable of receiving, as one speaks in accordance with his own state. [Text]: Q. 20:6-13: And what is in the heavens is His, and what is on the earth, what is between the two, and what is under the ground. And if you speak publicly, He knows the secret and [the] more hidden. God—no god save He; His are the beautiful names. And has there come to you the story of Moses? When he saw a fire, he said to his people: remain; I espied a fire, perhaps I will you from it a firebrand or may find at the fire guidance. And when he came to it, it was cried out, O Moses! Verily, I am your Lord, so take off your two sandals, for you are in the holy valley Ṭuwa. And I have chosen you, so listen to what is revealed. [Commentary]: And what is in the heavens is His, to and what is under the ground: evidentiary proof of the total embrace of His force and of His dominion over all, that is, everything is under His dominion, His force, His governing power, His effectual influence: you do not come-into-being, do not move, do not come-to-rest, do not change, do not subsist, save by His command. And likewise, you pass away in whole overcome by His oneness, and the obliterating power of His compulsion: you do not hear, do not see, do not strike, do not walk, except in Him and by His command. And if you speak publicly, He knows the secret and [the] more hidden: evidentiary proof of the perfection of His kindness. That is, His knowledge is effective in all things. He knows their exteriors and interiors, the secret, and the secret of the secret. Likewise, if you act publicly, or covertly, then He knows it, public and covert. And whereas the aforementioned attributes were the sources with which there is no attribute save under their totality, and there is no name save it is included in these aforementioned names, and the essence is not made multiple by them, so He says: God. That is the way-station (al-manzil) described by these attributes, He is God, there is no god save He, His unitary essence is not made multiple, nor is the reality of His He-ness [made multiple] by them, and He is not numerically compounded. For He is He in eternal duration, just as He was in eternity. There is no he save He, no existence other than Him in regards to His absolute unicity and His being the source of all things. Whereas He mentioned: His are the beautiful names which are His essence in regards to the particularization of the attributes. When he [Moses] saw a fire, it is the Spirit of holiness, that which kindles from itself light in human souls; he saw it by the refreshed eye of his inner sight, by the light of guidance. He said to his people the capacities of the lower self, Remain, be at rest, and do not set out, since the course (al-sīr), rather, arrives at the holy world (al-‘ālam al-qudsī), and he is joined to it in the presence of these human capacities, from the outer and inner senses, the objects of concern for it. I espied a fire, that is, I saw a fire. Perhaps I will bring you from it a firebrand, that is, a conjunctive luminescent aspect (hai’a), by which all of you (pl.) will be benefited. So [Moses] will be illumined and his essence become an excellent quality. Or I will find at the fire one who will guide me through knowledge and gnosis, the reason for divine guidance to God (al-Ḥaqq), that is, the [revealed] scriptures, by the conjunction through them to the luminescent aspect (hai’a: or, ‘form’), or the cognizant aspect. And when he reached it, that is, was joined to it, it was cried out, from behind the fiery veil, which is the pavilions of glory and might, the divine presence being veiled by it. O Moses! Verily, I am your Lord! Veiled by the fiery form, which is one of the veils of might manifest in it. So take off your two sandals, that is, your lower self and your body, or rather two existents, because one, if he is stripped of the two, he is stripped of two existents. That is, likewise, in your spirit and your secret you were stripped of their attributes and aspects, so that you are joined to the Spirit of holiness, and stripped in your heart and your chest from the two, the cutting off of attachment to all things, the effacement of the traces, the extinguishing of the attributes and actions. He names them two sandals, and He does not name them two articles of clothing, because if he were not stripped of wearing the two, he would not be united to the world of holiness. And the state is the state of union, so He commands him with the cutting off of all things in view of Him, as He said: Be devoted to Him entirely. So it is as if his attachment susbsisted with the two, and the attachment through the two caused his foot to slip, [the foot] being the lowest aspect of the heart, designated by ‘front’ (ṣadr). Then the two, after the the spiritual, secretual betaking towards holiness, He ordered the cutting off of the two in the station of the Spirit, and for this He justified the necessity of the taking off by His words, You are in the holy valley Ṭuwa, that is, the world of the Spirit, clear of the traces of attachment, the forms of dependencies, and the extended attachments; [it is] named Ṭuwa, due to the concealment (ṭayy) of the conditions of the domain, and of the celestial and terrestrial bodies beneath it. I have chosen you, so listen to what is revealed: this He promised with the election that is after the perfect essential manifestation, that which leveled the mountain of his being (wujūdihi) with the annihilation in it by being leveled, and his thunderstruck prostration at his recovery through Real Being, as God said: when he was restored he said: Glory to you! I turn to You, and I am the first of the believers: [God] said: ‘O Moses! I have chosen you in preference to all other people, as My messenger and My word.’ This manifestation is the manifestation of the attributes, before the manifestation of the essence. And for this He sent him, and he did not here ask Him for information concerning the revelation. And He commanded him with spiritual exercise, with being-present, with watchfulness, and He promised him the great resurrection in short time, so this election is close to the foundational choosing alluded to in His words: Then his Lord chose him; so turn to Him and be rightly-guided, a middle between him and between the electing. James Winston Morris, ‘Ibn ‘Arabi and His Interpreters: Part II (Conclusion): Influences and Interpretations, in Journal of the American Oriental Society, vol. 107 101-119. Mizāj is derived from a root that means ‘to mix, to stir’; the term might best be translated as ‘humoral nature’ or ‘disposition,’ as the conceptions behind the term lie in Galenic theories of the humors and their particular presences and circulations in the body. Some readers will perhaps be familiar with a much earlier instance of a mystical/allegorical interpretation of the story of Moses: St. Gregory of Nyssa’s Life of Moses. As we see here in al-Kashanī’s interpretation, Gregory reinterpreted the historically particular life of Moses along universal lines, as being the story of the human soul in its progress towards God. Likewise, al-Kashanī here finds in the story the opportunity to lay out theology and a supreme example of human experience of God. While he does not deny the historical particularity of the story, that historical particularity is not especially important here—rather, it is the universal truths al-Kashanī finds revealed, mystically and anagologically, in the story. I.e., Moses said to his lower capacities/potencies: remain here while I [viz., the higher self/spirit] go towards the fire. The sense is that the lower self cannot embark on the path to the ‘hallowed world.’ I am not entirely satisfied with my translation here, but I think the sense is clear. Al-Kashanī occasionally, as here, inserts material from ‘exoteric’ exegesis, most likely in order to demonstrate that his ‘esoteric’ reading of the text does not preclude more common, ‘established’ exoteric readings drawing upon other forms of explanation and exegetical authority. This is not unlike medieval Latin Christian exegesis, with its levels of meaning (four in many accounts, but more or fewer in other reckonings), the allegorical or the tropological not excluding the literal/historical. For al-Kashanī and other ‘esoteric’ exegetes of the Qur’an, however, the relation between the ‘literal/historical’ and the ‘allegorical/mystical’ could be somewhat more ticklish a subject than in Latin Christendom. It seemed to me like a good idea to translate al-Aerifeen and related words as “gnosis” as it seemed to have the same meaning. But if you consider the fact that the origin of the word is in disbelief in the All Merciful Creator among first the Helenistic philosophers and later Christians, dubbed Gnostics by their opponents, who don’t seem to have used it themselves and only as a concept at that, but nevertheless the specific gnosis to which they referred involved the knowledge that the Deity of the Old Testament was rather malevolent, based on the way He was portrayed, which is understandable. But I decided that the language of the Greeks who were essentially pagans and rather ignorant, deviant and full of conceit, whose so called gnosis was the same philosophy that true Muslim philosophers like al-Ghazali wrote against, favored by the Mutazila, whose idea of reason was anything but and who did not believe that the Quran was Divine. Why not translate all uses of Hikma to the Sophia? Also allegorical interpretation properly refers to method employed by the Hellenes/Greeks upon the realization of the absurd nature of their plagiarized mythologies, in an attempt to salvage dignity and which ultimately failed as their is nothing particular useful about Greek mythology or it’s allegorical interpretation, or really anything from their philosophy either. They were speculators of things invisible and non existent who rarely if ever said anything of value. The Quran can not be interpreted allegorically because to do so dishonors the Quran as if it were like the Bible and it’s interpretations in need of allegorizing, the proper words to use are exoteric for the literal and esoteric for the figurative or metaphorical meaning which is not open to allegorizing, because you start having people interpret it in ways it was never intended. Also it is inherently esoteric, every letter has meaning and some of the letters are specifically there so that we don’t what they mean but can guess, contemplate, but never be sure, and as long as you don’t negate the exoteric meaning of the Quran you can essentially interpret it infinite ways in theory, this according to al Ghazali in the first book of the Ihya Ulum ad Din.